Bikers braved a 15-kilometre route for the region's first-ever fat biking tour event. 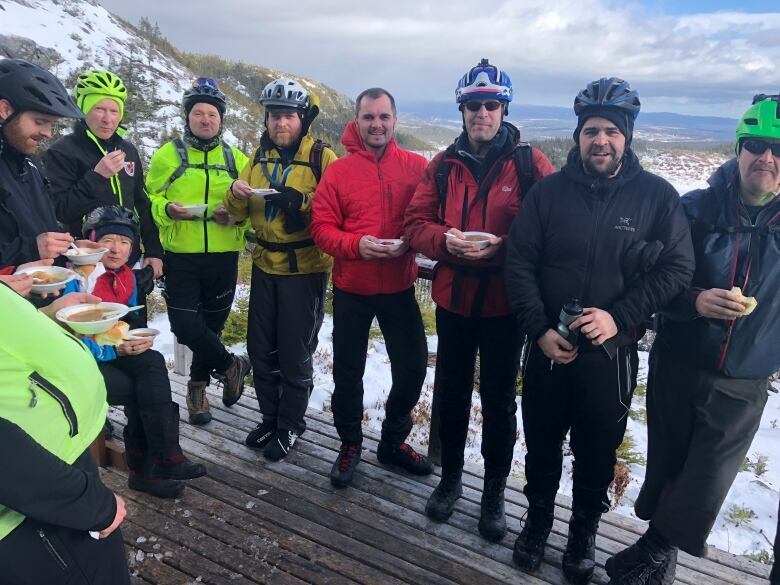 About 40 cyclists broke out their winter gear to hit the slopes in Clarenville Saturday in the region's first fat biking tour. 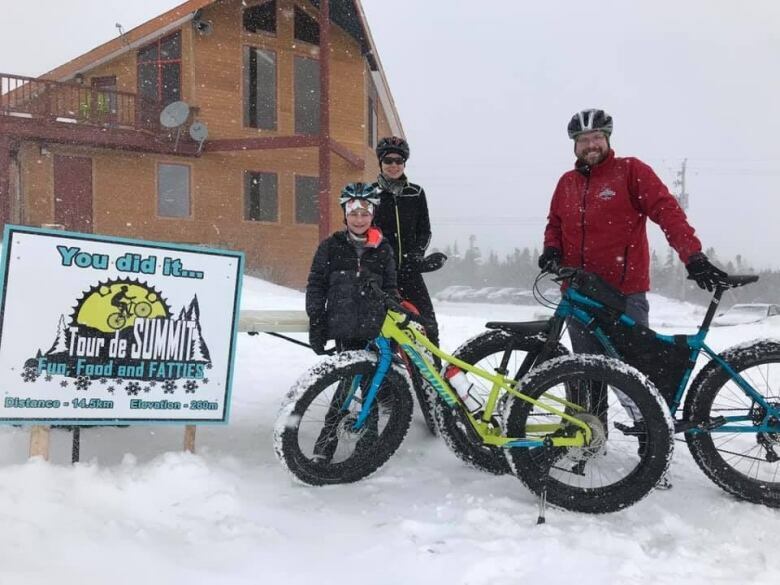 It wasn't competitive, but Tour de Summit: Fun, Food and Fatties wasn't a walk in the park: the 15-kilometre loop scaled a mountainside at White Hills Resort, with four rest stations offering hot drinks, snacks, and moose chili along the route. What was once a fringe activity is spreading across Newfoundland and Labrador, said organizer and Clarenville Nordic Ski Club spokesperson Richard Churchill. "This is the third winter where we've seen the sport growing here in Clarenville," Churchill said. "Three years ago there were about a half dozen people who had a fat bike." He now estimates there are about 50 people in the area who own one, many of whom made it out to Saturday's group ride. The number of people on the trail was a testament to the sport's versatility, he said. 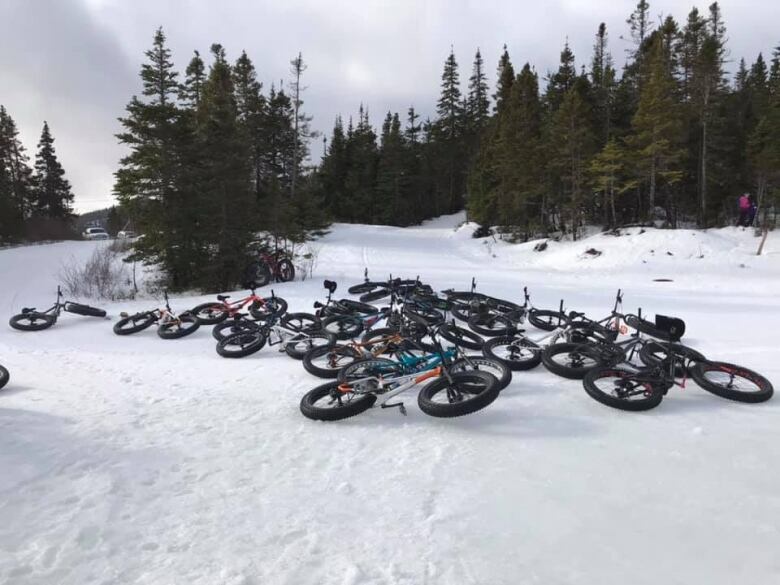 "There are so many great options," he said, pointing out that fat bikes work in all seasons — especially Newfoundland and Labrador's unpredictable winters. "You don't need a lot of snow to get out there." Fat bikes use less air in their tires, which, at their largest, can have a width of more than 10 centimetres, he said. That allows the tires to "float" over slippery patches and grip the snow better than a traditional mountain bike tire. They can even tackle ice with grace. But the tires meet their match when it comes to slush. 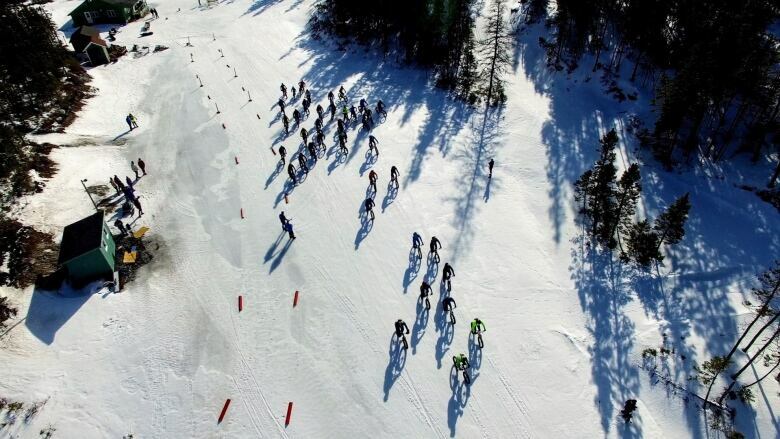 Churchill said warm weather on the slopes put Saturday's fat bike tour in jeopardy. "A soft surface can make it difficult," he said. "But things froze up just in time."